Senor Mex says: Compared with just a few years ago, credit cards are more widely accepted in Mexico than ever. I don’t know about you, but I don’t like carrying a lot of cash with me in general. I’m even less comfortable doing so when I’m in a foreign country. With that in mind, I always bring a few credit cards with me to use while I’m south of the border. I’m not advising you to accumulate a lot of credit card debt. I just think that charging things in Mexico and paying your bill later is easier, safer and more convenient. As an added note, you will need a major credit card to buy Mexican automobile insurance at Mexican Insurance Store online. It’s a lot better to do it that way than to buy it at the border. It’s easy to get Mexican automobile insurance online using mexicaninsurancestore.com’s easy use website. Do you buy Mexican automobile insurance online using your credit card? 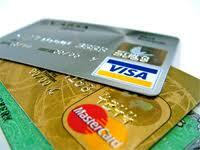 Protect yourself from credit card fraud avoid unnecessary use of credit card when in Mexico city. You really do need Mexican insurance. In northern Baja, the area can be barren and dry. But you can spot some diamonds in the rough if you know how to find it.